John has extensive experience handling a very wide variety of business transactions. His practice is augmented by a comprehensive base of experience and knowledge of federal and state taxation law and associated tax and business planning strategy. John has counseled clients in connection with development, investment, merger, acquisition, and disposition transactions and has drafted agreements for acquisitions, sales, reorganizations, conversions and start-ups of commercial entities. He has extensive experience in complex limited partnership, limited liability company, corporate, and joint venture structures, and the tax implications related thereto. John has also structured, and assisted clients in, the organization of private equity funds. Further, he has assisted private equity funds after formation in structuring investments in other entities. He also has experience in structuring and organizing blind real estate funds using private equity. John has significant experience in drafting complex tax allocation and distribution sections of partnership agreements, including preparing and drafting agreements for complex partnerships with multiple divisions and classes of partners, not all of which being entitled to participate in each of the various divisions of the partnership. John has represented, created, organized, modified, converted, and dissolved all types of business entities, including, partnerships, corporations, limited liability companies, and joint ventures. He has been involved in complex mergers and acquisitions and private securities offerings for clients in a diverse range of business industries and real estate properties. John’s knowledge and experience of federal and state taxation planning proves to be very useful with all types of organizational and structure issues and ongoing business and contractual relationships. John received an LL.M. in Taxation (masters of tax law degree) from New York University, his Juris Doctorate from the University of Illinois, and his Bachelor of Science in Economics from the Wharton School of the University of Pennsylvania. 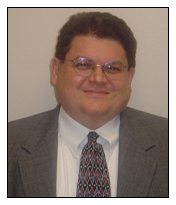 John is a member of the State Bar of Texas, the Houston Bar Association, and the Louisiana Bar Association.